We understand that everyone is inundated with hundreds of emails on a weekly basis and only want to take up your valuable inbox space with news and information that adds value to your work and is of interest to you. To that end, we are continually working to improve the value of this bimonthly newsletter and bring you resources not only from The Center for Health Design about our activities but also news from other sources around our industry you might have missed. I welcome your feedback on how we can make this newsletter most useful to you. Do you want us to focus more on Center activities or the general industry, or do you like a mix? Do you like the link to Center tools and resources on topics that potentially impact your work? Is there something missing that we should be including? Drop me an email with your thoughts. We can only get better with constant feedback from you so my email box is always open. If you have something to share, drop me a note at dlevin@healthdesign.org. I’d love to hear from you. Preventing patient falls is a pain point for many hospitals. But, a report released by the American Hospital Association's Health Research & Educational Trust offers five hospital case studies that may help others to reduce falls. The report, "Preventing Patient Falls: A Systematic Approach from the Joint Commission Center for Transforming Healthcare Project", saw seven U.S. hospitals use a “robust process improvement approach” consisting of tools from Lean Six Sigma as well as change management methodologies to reduce falls with injury on pilot units within their facilities. To commemorate one year of operation, SCL Health, Broomfield, Colo., just celebrated the anniversary of its new community hospital in Westminster, Colo., with families from nearby communities. This was not just any community hospital, but a microhospital, an example of a growing trend for health systems trying to bring fast, comprehensive lower-acuity treatment to the community in an affordable way. Going small is a strategy that some health systems are utilizing in a few states in the West and Southwest so far, with at least one system in the Midwest about to follow suit. The system plans to open three more microhospitals in the Denver area in addition to the one celebrating its first anniversary, and Mike Slubowski, president and CEO, believes microhospitals have a role in health care. “It definitely is a trend, among many trends occurring in health care, to create more accessible, cost-effective access points and alternative delivery models,” he says. The American Society of Interior Designers was a featured research partner in the new SmartMarket Report by Dodge Data & Analytics. “The Drive Toward Healthier Buildings 2016: Tactical Intelligence to Transform Building Design and Construction SmartMarket Report” reveals that the business benefits of healthier buildings are driving increased attention across the design and construction industry to factors that impact physical health, social health, mental health and well-being, and are leading building owners, developers, managers and investors to an increased interest in creating healthier buildings. ASID assisted in crafting the survey used to collect data for the report and played a key role in distributing the survey to the Society’s interior designer members. Health, wellness and well-being in the built environment are central to the ASID mission. More and more people are being diagnosed with autism spectrum disorder (ASD). For health care construction and design professionals, this means that a greater understanding of the special requirements of this growing patient demographic is needed to create spaces that are optimized to their wellbeing. Many autistic children are highly sensitive to the sight, sound and feel of their environment. Therefore, autism-friendly spaces need to pay close attention to texture, uniformity, acoustics and lighting conditions. For ASD patients, designers should consider ways to eliminate excess noise that can be distracting and create a sensory overload for the patient. Therefore, window and door solutions need to have sound-dampening capabilities. Good observation is required to allow staff to readily monitor patients without them feeling infringed. Personal space and privacy are essential to many ASD patients. Care should be taken to reduce any sounds, rattles and related noises. This eliminates blinds, curtains and exterior shades as privacy solutions. Insulation from other noises in the environment is important for similar reasons. 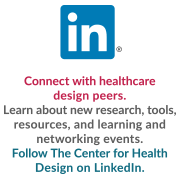 Going to Healthcare Design Expo & Conference? Once registered, you can reserve your spot in the EBD coaching pre-conference workshop that explores the practical application of evidence-based design into your projects. Then, get prepared for the EDAC Exam with a comprehensive study session taught by industry experts. This unique workshop is an excellent opportunity to bring EBD concepts into practice, offering an introduction to EBD as well as personal consultation about how to integrate the EBD process into your project(s). This comprehensive study session prepares you to take the EDAC exam by offering general information about the exam, the types of questions on the exam, a detailed review of the three study guides, an overview of the five domains included on the Exam Content Outline, a summary of key concepts, and time for Q&A. HCD conference attendees have the opportunity to take the EDAC Exam at conference and take advantage of a 10% discount + risk free offer - you can retake the exam once at no charge if you do not pass. Each year at Healthcare Design Expo & Conference, we get together at our VIP reception with top industry professionals and organizations who are a part of our CHD Affiliates, Affiliate+ members and partner community. These members meet not only at this annual event, but also throughout the year as our guests at regional networking receptions, that include one hour CEU sessions. Members also enjoy discounts on most CHD products and educational tools. Want to become a part of this prestigious community who is fostering the EBD movement and advancing our work through their support? It's easy - click here to learn more or contact Lynn Kenney to learn of membership options and decide which is best for you. Get your invitation to join us in Houston at our VIP reception at Healthcare Design Expo & Conference. Questions about Affiliate or Affiliate+ membership? A complete, user-friendly library of healthcare design resources that continues to grow with the latest research. Start with our Knowledge Repository for all of your searches for articles and research citations on healthcare design topics. Evidence-Based Design (EBD) Journal Clubs are free, open to all and provide one EDAC/AIA CEU. These sessions provide opportunities to interact with authors who have recently published EBD papers and articles in peer-reviewed journals such as the HERD Journal, and learn as they share ways to put their research into practice. See all past EBD Journal Clubs, here.